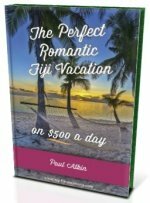 Want to know about the animals in Fiji? Find out here above and below the water. Read up on what are native and which you'll likely to encounter on your trip. 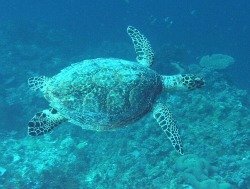 Underwater animals in Fiji are a delight especially if you like diving or snorkeling. This page is about marine animals, for land animals visit our Fiji animals page. If you are into sharks, then there's a treat waiting for you. At shark reef off Pacific Harbour on Viti Levu, there's the opportunity to watch shark feeding first hand. We aren't talking about light weights like grey reef sharks, nurse sharks, and lemon sharks that occur in other parts of the world. Here, 8 different species could turn up: tawny nurse, white-tip, black-tip, grey reef, sicklefin lemon, silvertips. 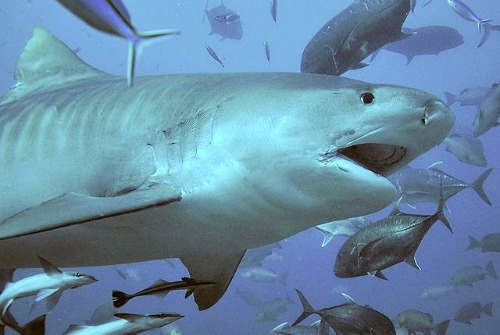 also massive bull sharks, and the most feared, tiger sharks. (visit our Island Diving in Fiji section for a video) You won't be the same again! Elsewhere, along the reefs you can expect black tipped and white tipped sharks. And out in the open seas hammerhead sharks plus more. Fiji has a plethora of tropical fish. 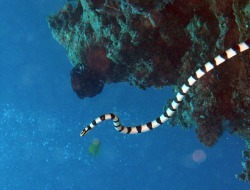 Schools can be found along the reefs but be careful, some are venomous so if in doubt, stay away. In the open seas you can find larger fish including tuna and swordfish amongst others. If you are staying in the Yasawa group, on Kadavu Island, or in the Lomaiviti group, you are able to see manta rays including giant manta rays. Ask your resort for the best spots. Fiji is rich with coral and is renown amongst diving circles as 'the soft coral capital of the world'. And you're in luck, as Fiji diving and Fiji snorkeling are plenitful and exceptional, especially on the outer islands. Any resort worth it's salt has, or can organise, diving and snorkeling for you. There are hundred's of hard and soft coral, sponges, and sea fans of various colours and shapes. They need sunshine thus are located within 50m of so from sea level.